1000+ Pairs Sold For single listing. Thank you for all customers your interest and review. We believe many customers purchased Timberland boots from us with little bit higher price than other seller for reason. We will continuously put "customer satisfaction" for priority and serve our customer. Ebay TOP search listing with key word "Timberland Boot"Ebay #1 selling listing for Timberland Premium Boots. ** Timberland Boots are half size bigger than other brand shoes. ** Origin may different (China,Dominican Rep) depend on Size. The items will be shipped within 1 business day (excluding weekends and holidays) After the payment has been cleared. Shipping Time Mon-Friday. Any orders we receive after 8am(PST), will be shipped next business day. Please privide physical address, we may cancel your order if you use P.O box address. All international orders are fulfilled via the EBAY GLOBAL SHIPPING PROGRAM - Buyers pre-pay all the shipping and import charges during checkout. We ship the item to EBAY's domestic fulfillment center and EBAY ships the item internationally. We will accept unused returns within 30 days, buyer must contact us (or please request via ebay) upon receipt of merchandise asking for a return authorization. Item must be in same exact condition (including packaging) as received. Buyer are responsible for the return shipping charges. Once the item arrives we will process your return for the full purchase price minus the shipping cost and 10% restock. - We will NOT refund the item if has been worn or shows any sign that it has been worn outside. - You MUST send the item back with the original shoe box. 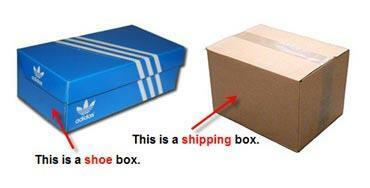 - No Tape or Shipping label on the shoe box. - Any damaged shoe box, crease on leather we will send it back to you. NO REFUND. Very Serious about this. We are more than happy to answer any questions you have regarding our items. Please contact us via eBay message we will answer your question soon as possible. We will not answer your question over weekend. So please give us ample of time to answer your question if you are sending a message late Friday.